In the November of 1847 FSA was introduced to William Henry Fox Talbot's Calotype process through his doctor and friend, Dr Hugh Welch Diamond 13, a keen photographer. At first FSA used the photographic medium as an aid to sculpture to record his finished work and probably to photograph sitters from which he could model busts. He became increasingly fascinated with photography to the exclusion of sculpture and became an early member of the Calotype Club (from 1848 referred to as the Photographic Club. At that time the two main photographic processes in existence both had limitations. Daguerreotypes were highly detailed but required long exposures and produced a "one off positive image; the Calotype allowed many prints to be made from one negative but these were produced on paper and were therefore not as sharp. Archer wrote in ‘The Chemist’ (March 1851that he was unhappy with ‘the imperfections of paper photography’ and of his endeavours to find a negative material possessing ‘fineness of surface, transparency and ease of manipulation.’ From 1848 Archer began experimenting with glass as a negative support. A light-sensitive coating of albumen (egg which on glass had been used by others with some success but the solution was difficult to spread smoothly and was extremely delicate. Archer experimented instead with collodion. This was made from guncotton. a powerful explosive invented in 1846. It is produced by soaking ordinary cotton in nitric and sulphuric acid. This substance was then dissolved in a mixture of alcohol, ether and potassium iodide to produce the syrupy collodion that could be poured onto glass. This plate was then sensitized in a bath of silver nitrate solution and exposed in the camera while still wet. 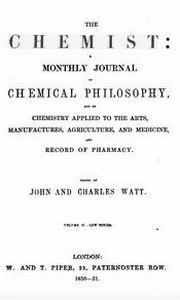 Archer's findings were first published in the ‘Chemist’ magazine in March 1851 in a communication dated 18 February. The new process was much faster than the Calotype reducing exposure times to seconds rather than minutes. It was also less expensive to produce than the daguerreotype. Importantly it allowed superbly detailed negatives to be made of a quality never before seen. By printing the new negatives on albumen paper new aesthetic possibilities and practical applications for photography were opened up. Archer gained permission to show a few of his collodion negatives which were displayed to acclaim a few days before the closing of the 1851 Exhibition at the Crystal Palace, Hyde Park. London. 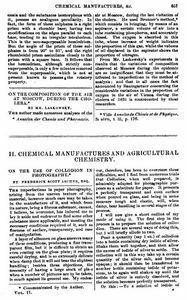 Horne, Thornthwaite and Wood, opticians and philosophical instrument makers of Newgate Street, London, arranged with Archer to sell his iodized collodion and took out newspaper advertisements in the autumn of 1851. Despite interest from other opticians and chemists Home and Thornthwaite continued to be the sole distributor of Archer’s Collodion, for several months. That same year an early enthusiast for Archer's process, Robert J. Bingham, photographed the prize winning exhibits of the Paris Industrial Exhibition to produce some 2500 collodion negatives in a comparatively short time. This convinced many other photographers of the practical viability of collodion beyond doubt despite the cumbersome equipment required for exposing the wet plates and developing them in location. Collodion photography gradually displaced most other process and was prevalent from around 1855 to 1881 when it was superseded by the more convenient gelatin dry plates. The widespread use of the wet collodion process can also be attributed to the fact that Archer did not patent his invention but shared his findings with fellow photographers and published it freely with no profit to him. By contrast, throughout the 1840s and the early 1850s, Talbot maintained a stronghold over the license of his Calotype process and threatened legal action against those who breached his copyright. Martin Silvester Laroche refused to pay a license after Talbot challenged him which led to the court case of Talbot v. Laroche in 1854. In the case Talbot claimed that Archer's wet collodion method, being essentially a negative/positive process like his own, came under his 1843 Calotype patent. The verdict was that although Talbot should be recognized as the inventor of the negative/positive process Archer's discovery was not covered by the Calotype patent and thus free for all to use without restriction. 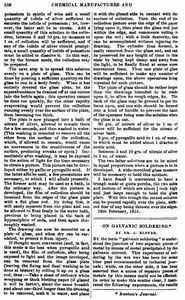 However, there were suggestions that Archer was not the only inventor to have come up with the idea of using collodion on glass. Bingham claimed that: 'In a pamphlet on photography, which I published in London in January 1850, I mentioned the employment of collodion in photography, and communicated the secret of this discovery to the most distinguished photographers of London.' Archer did not dispute that others had suggested the possible use of collodion before him but he claimed priority to this publication of its practical application. In a letter published in Notes & Queries in 1852, Archer responded to a correspondent who ascribed the discovery of the collodion process to Gustave Le Gray. In 1852, together with Peter Wickens Fry, Archer also devised the collodion positive, or 'Ambrotype' process which became extremely popular for portraiture. This was a variant of the wet collodion process in which an underexposed negative was coated with black paint, paper or velvet resulting in a unique positive image often presented in a velvet-lined, plastic or leather ease. While Archer gained very little commercial success as a photographer he maintained his living working precariously as an inventor. His inventions included a camera inside which the various developing processes for the Calotype could be self-contained (later adapted for Archer's own collodion process by his friend William Brown of Ewell, Surrey) and a variety of types of lenses. He regularly advertised his cameras and lenses in Journals such as Notes & Queries.